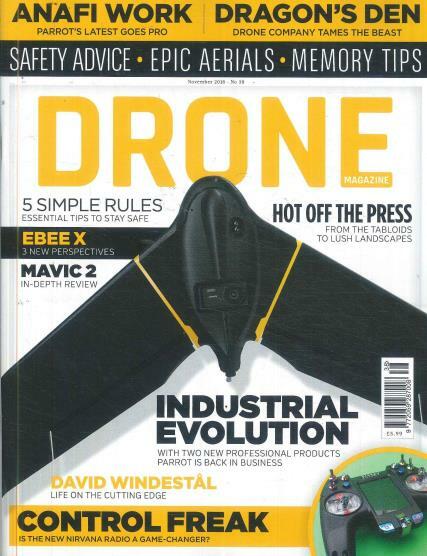 Drone - a magazine packed full of interesting features and new developments for the drone enthusiast. Buy a single copy or subscription to Drone magazine. Drone magazine is a high quality publication which is dedicated to bringing information on new drone technology in an informative and friendly manner. It will appeal to novices who need to know the basics through to experts who are keen to build their own drone. Featuring reviews of products and interviews with key figures in the industry.